Jesus was an amazing teacher. People traveled from far away to hear Him teach. Large crowds sometimes listened to Him for days without eating! 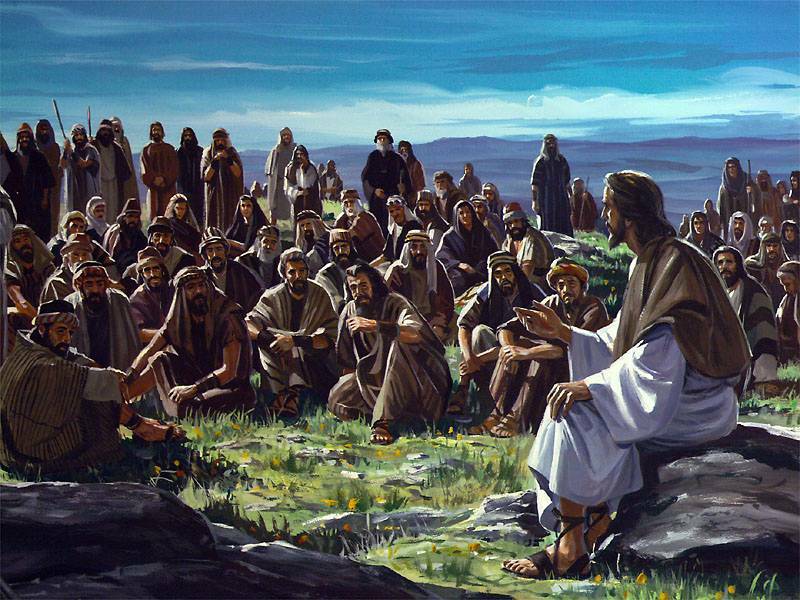 They “were amazed at his teaching, because he taught as one who had authority” (Matthew 7:28-29). What did Jesus say that was so fascinating? What did He teach about that kept people interested for days? Most Christians and churches believe Jesus taught mainly about the love of God. They say He taught mostly about how much God loves us. This is how many children’s Bibles summarize His teaching ministry as well. But the love of God was only a minor theme in His teaching. He taught more about our love for God and others than God’s love for us. Instead, the primary theme of Jesus’ teaching was repentance. His message from the beginning was, “Repent, for the kingdom of heaven is near” (Matthew 4:17). He most often told people to stop sinning and align their hearts with the will of God. The Jewish leaders complained about those with whom Jesus associated. On one occasion He answered them, “I have not come to call the righteous, but sinners to repentance” (Luke 5:32). On another occasion some Jews informed Jesus about those who died in a tragedy. He told them twice, “Unless you repent, you too will all perish” (Luke 13:3, 5). He said to a man who was lame, “Stop sinning or something worse may happen to you” (John 5:14). And he told a woman pardoned of adultery, “Go now and leave your life of sin” (John 8:11). This was even His counsel to the church at the end of the first century! He wrote to the church in Ephesus, “Repent and do the things you did at first. If you do not repent…” (Revelation 2:5). This was also the message of those closely associated with Jesus. John the Baptist’s words are identical: “Repent, for the kingdom of heaven is near” (Matthew 3:2). He told his listeners to “produce fruit in keeping with repentance” (Matthew 3:8, Luke 3:8). And when Jesus sent out the twelve to preach, what was their message? “They went out and preached that people should repent” (Mark 6:12). Repentance was supremely important to Jesus. He requires it to enter the kingdom of God that He came to establish. And He requires it to avoid the judgment that is coming upon all mankind at His return. Jesus was less concerned about people feeling loved by God than He was about them feeling convicted by the Holy Spirit. This is the exact opposite of how we preach the gospel and do ministry today. The church has made the gospel a message of love. We would summarize it, “God loves you!” On top of that, it tries to make unbelievers feel welcome and comfortable. It tells them God loves them just as they are. But how can such a cushy style of ministry compel anyone to repent? How will it make anyone feel the need for their life to change? If they are comfortable and loved already, then who needs to be saved? I wonder if this is why worldliness has consumed the American church. I also wonder if this is why we have lost our urgency in evangelism. What stands out to you about Jesus’ teaching? Leave your thoughts with a comment below! This blog fits well with my last one. For those of us who believe that God is so loving that we can continue on in our sin after a quick confession, then think again. We dare not take our sin lightly before a holy all powerful God. Yes, He is love, but He is also holy and has called us all to righteousness. I appreciate your stance,and what a welcome relief to see someone so young telling the truth that must be told.